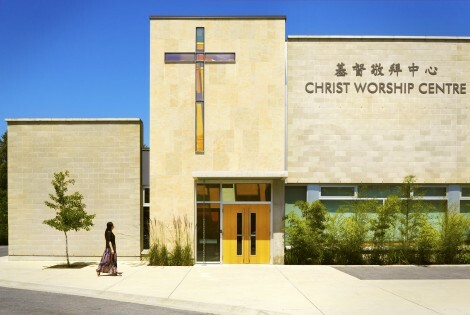 Christ Worship Centre is a regional-scale Christian church located in Surrey that is to be constructed in three phases. 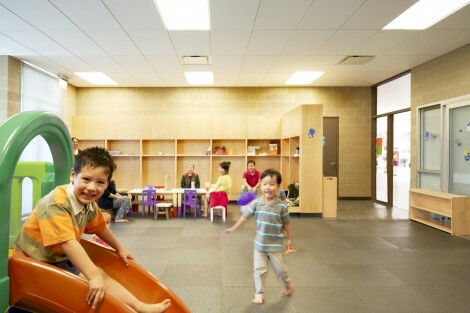 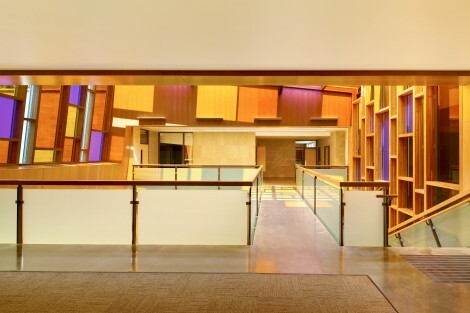 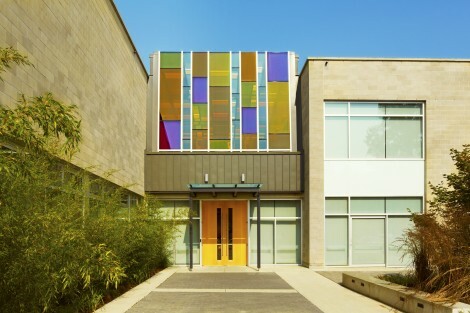 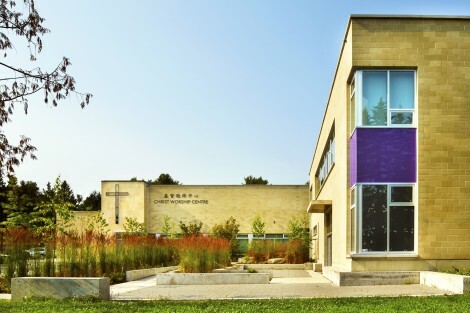 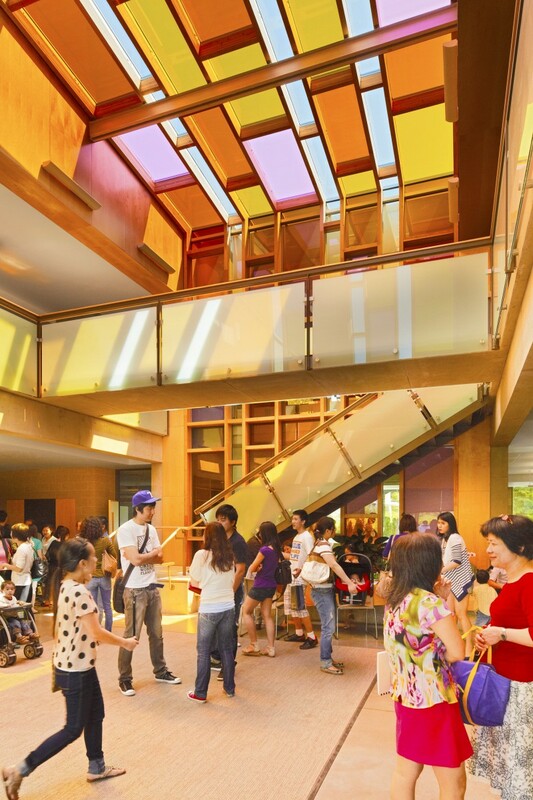 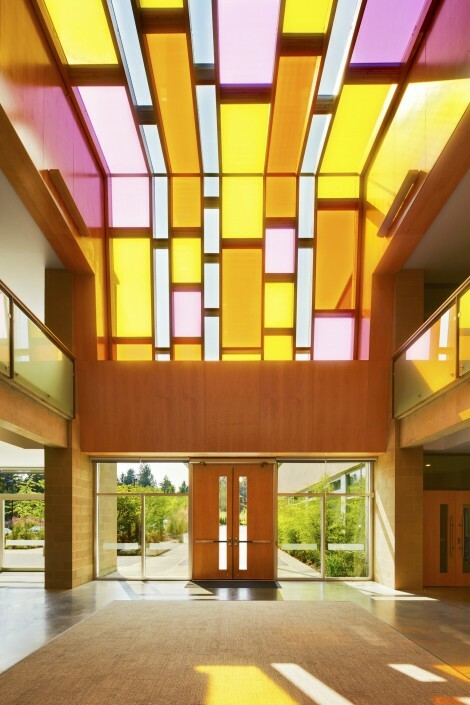 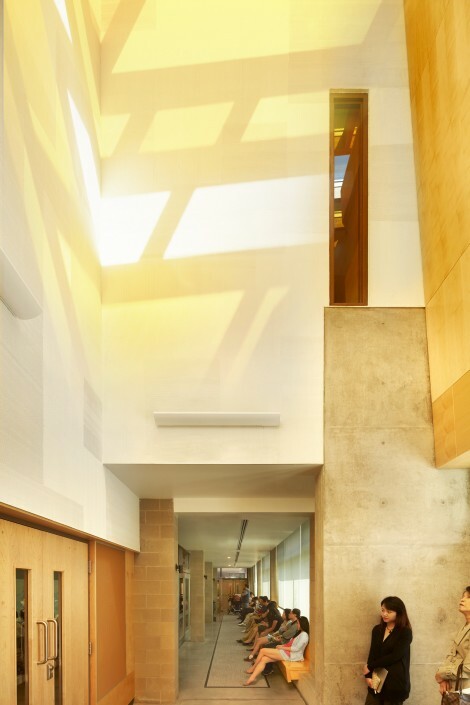 The first phase, completed in 2012, is a 3,350 square metre fellowship facility with child care, classrooms, library, dance studio, choir room, administration, dining room, commercial kitchen and a gymnasium with stage that serves as a temporary worship space and fellowship hall. 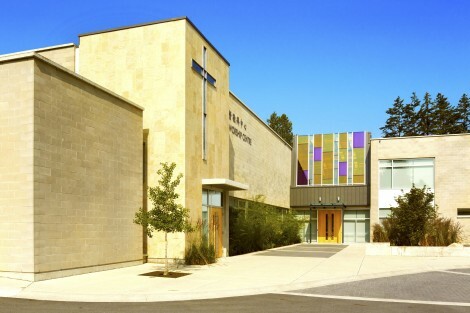 Upon final completion, the complex will include a 1,200-seat sanctuary, 300-seat chapel and total 6,000 square metres. 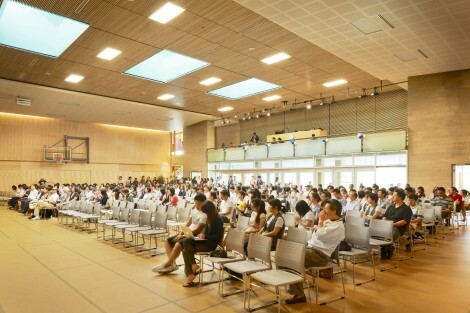 It was recognized that some time might pass before subsequent phases are built. 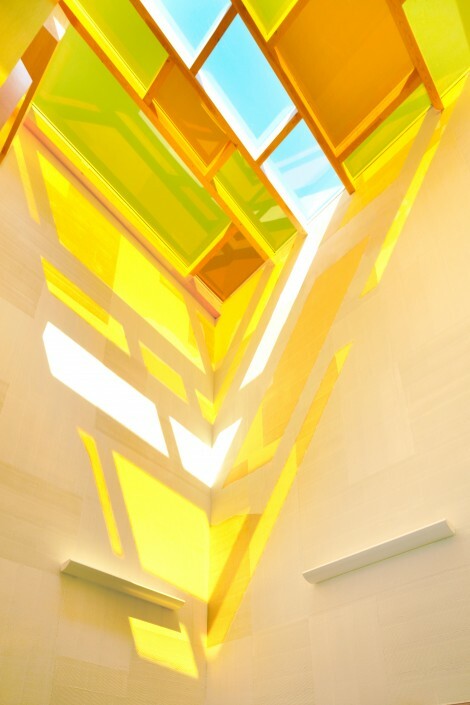 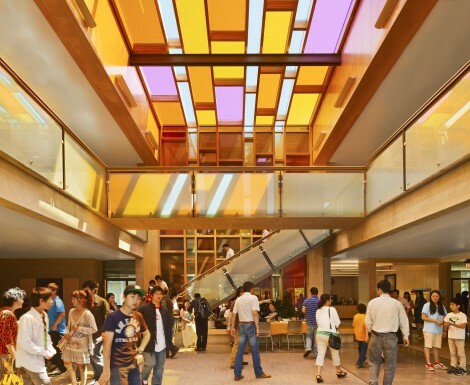 From such consideration the Lobby of Light was conceived as the primary point of arrival and soaring circulation crossroads for the entire complex. 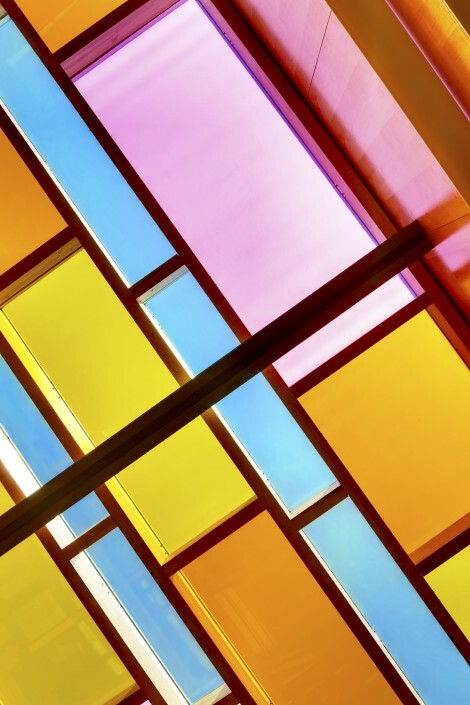 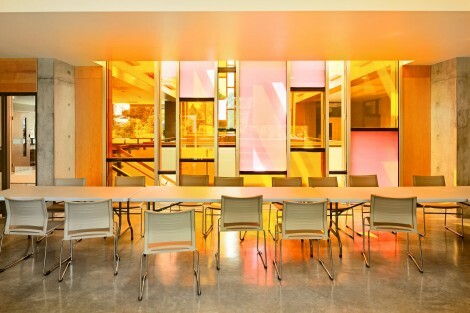 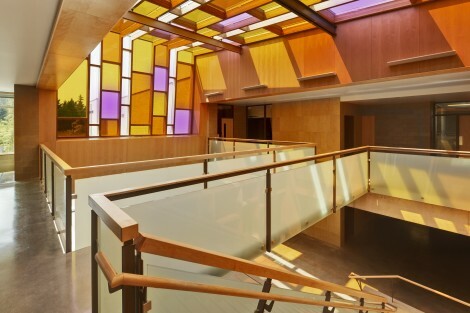 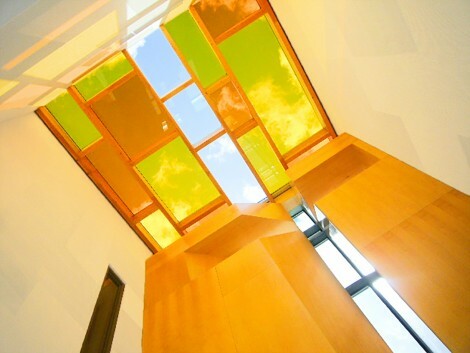 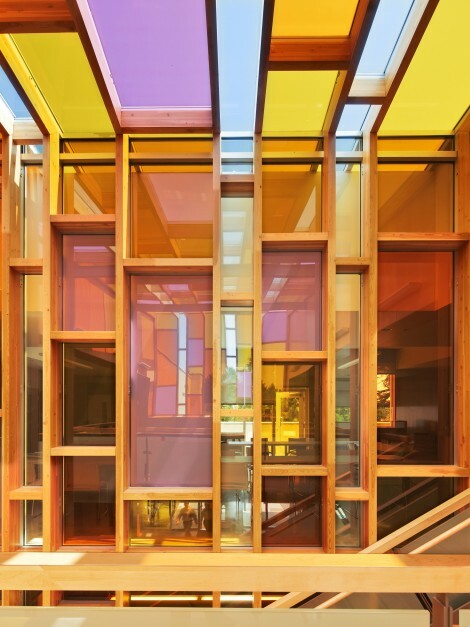 Glue-laminated frames clad with purple, amber and gold coloured glass create an ethereal glow. 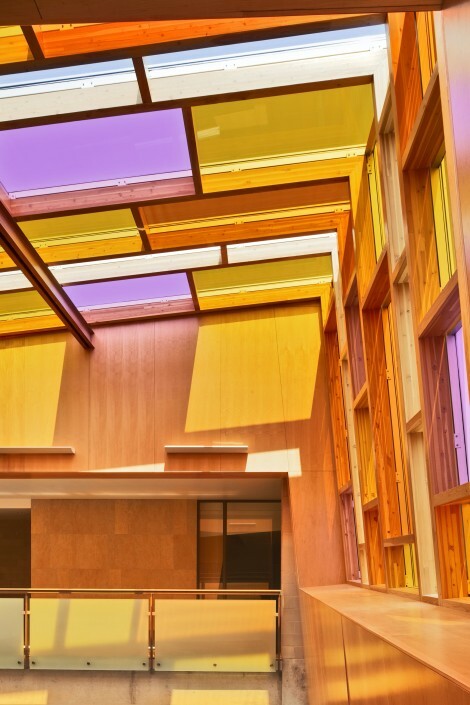 Sustainability features include geothermal heating and cooling, preservation of half the site in a natural state and bio-swales throughout the parking area.